Finance firm brewing up a plan to take over iconic Wrexham Lager building | News by Wales Express News, People Before Profit! A WREXHAM finance firm is brewing up a plan to take over one of the town’s most historic buildings. 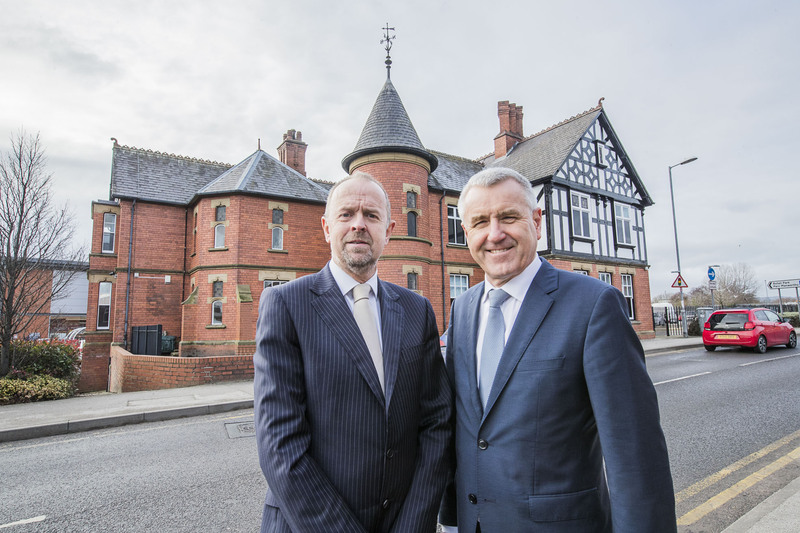 Hadlow Edwards Wealth Management has signed a lease on the original Wrexham Lager brew house on the edge of Central Retail Park and will turn it into state-of-the-art finance offices. The 25-strong team has grown out of its existing buildings on Regent Street and will move their main operation to the 4,359 square foot, Victorian red-brick building, built in around 1882 by the brewery’s German founders, in a few weeks. It’s a proud moment for Hadlow Edwards bosses Warren Hadlow and Medwyn Edwards who are raising a toast to their new Headquarters. They set up their family-run business 17 years ago in Wrexham and have doubled their team since they moved into their Regent Street premises in 2003. Last year, they opened an office in London’s Mayfair and took over a Shropshire-based business. Their expansion plans are set to continue and mean they have out-grown their existing space. Medwyn said: “The Wrexham Lager brewery is an iconic building for the town. We have been told the lager brewed there was served aboard the Titanic so the building itself is full of the most amazing history and stories and we are thrilled to be taking it over and ensuring its future as a well-preserved Wrexham architectural treasure. “It fits the ethos of our company exactly. “The community here has supported our business wholeheartedly and we are always keen to show our pride and commitment to the town. Joint Director Warren agreed with Medwyn and added: “When we first visited the offices, they were in much better condition than we thought and it has created a great buzz through the team to be planning our move there. “It has lots of positives for us from a business point of view too – good parking, a prominent position and we can retain our presence in the heart of Wrexham which is important to us. The main brewery was demolished after production was halted at the site in 2000. The main brewery house remained because of its listed status. The lager is still brewed at a micro brewery in the town after former MP for Clwyd South Martyn Jones bought the rights for the beverage from Carlsberg for £1. With the help of former Head of Brewing at the old brewery Ian Dale, production began again in 2011.